You have lots of options when it comes to a mortgage, but one that is often overlooked is the 15-year fixed rate loan. This type of mortgage has numerous advantages, and here are just a few of them you may want to consider. 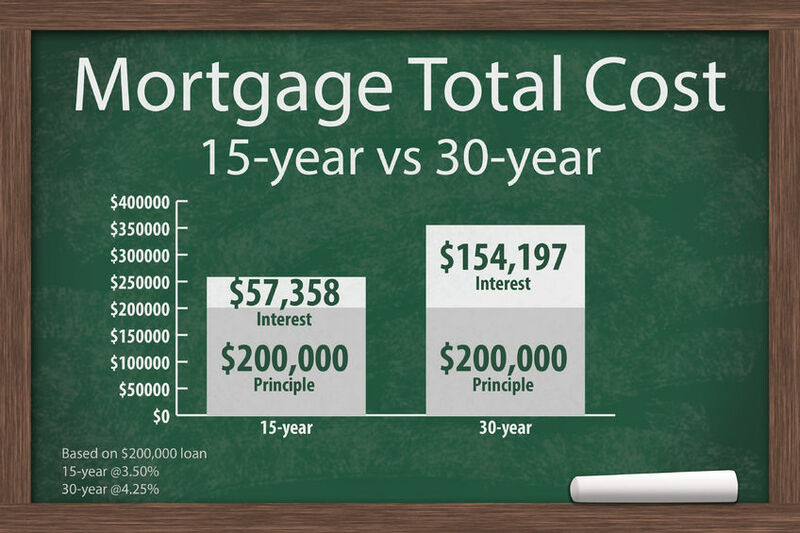 The fact that you will pay on a 15-year mortgage only half as long as you would a 30-year loan naturally means a tremendous savings in interest. Even so, a shorter term is not the only thing that saves you interest money. Short-term loans tend to come with lower interest rates to begin with, and that includes mortgages. Right off the top you could save half a percentage point or more, leaving you paying as little as one-third the amount of interest over the life of the loan. Lenders use an amortization schedule to determine how much of your monthly payment is used for interest and what amount is applied toward principle. In the beginning, most of your money goes toward interest, and very little is credited to the mortgage amount. As time goes on, the amount slowly increases for the life of the loan so that you are paying mostly principle near the end. With a 15-year fixed mortgage, you will reach the point where most of your money is going toward principle much sooner-typically in around 7 to 8 years as compared to 15 years for a conventional 30-year loan. This means you will begin building equity much faster, and will be able to use that equity to borrow against or refinance. After becoming a homeowner, the next goal many people aspire to achieve is burning the mortgage note. There’s a certain amount of freedom that comes with knowing you are clear of any debt whatsoever, particularly if you are close to retirement age or have children who are getting ready for college. While others are struggling to make ends meet, you can have peace of mind knowing that you are prepared for the unexpected. A 15-year fixed mortgage does have one drawback, and that is the fact that it comes with a higher monthly payment. However, having a bigger mortgage payment may not necessarily be a bad thing so long as you still maintain a reasonable debt-to-credit ratio. After all, you won’t be nearly as tempted to take out other loans if there is not enough room in your budget for another payment. You might also be more conscious about holding down other expenses if you know you have a larger mortgage payment looming. When comparing monthly payments, many people easily become intimidated by the idea of taking out a 15-year mortgage rather than a 30-year one. After looking at the bigger picture, it is easy to see that there are quite a few advantages to slicing your mortgage term in half. Weigh all the benefits very carefully before you rule out the idea out yourself. This entry was posted in Blog and tagged 15 yr loan, loan, mortgage by Scott Li. Bookmark the permalink.